The transportation and logistics landscape is on the cusp of a digital overhaul. Taxi booking apps and private-car-for-hire services are selling like hot cakes. The success of any on-demand taxi service depends on the overall user experience. Being able to share your location in real-time with a driver forms the heart of taxi booking apps. Users need instant information on available taxis nearby. A slight delay can cause your users to abandon the app permanently. It is for this reason; one needs to be extremely cautious in choosing the technology that will shape the back-end architecture of your taxi application. When writing a taxi app, you have to select the type of socket you are going to use. Mainly there are two types of sockets – TCP and UDP. In light of the fact that taxi apps transmit data over the network, let’s catch a glimpse at the features of each of these sockets. Once you have this information, you will be able to make the right decision. Transmission Control Protocol or better known as TCP forms the backbone of anything and everything one does on the internet. Right from emails to web browsing, everything is built using TCP. The TCP socket is known for its reliability. What happens is, a connection is made between two machines/devices and the data is sent to and fro. The reason why it is reliable is because all the data you send is guaranteed to be received by the other device/machine exactly in the order you sent. Since you are sending in a stream of data, TCP breaks down the data into packets and sends these over the network. User Datagram Protocol or UDP allows sending and receiving packets directly unlike TCP. It is also known as a connectionless protocol. DP is highly used in transferring/transporting messages. Herein, one device/machine can send tons of packets to another and that’s it. 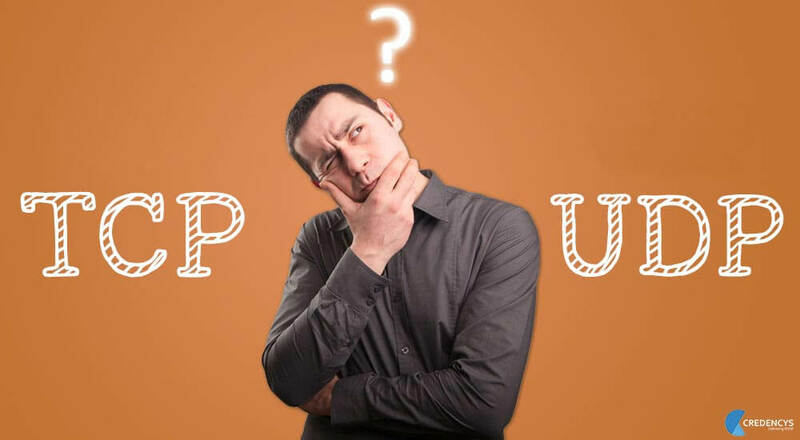 UDP is used when the amount of data to be transferred is small (such as data that fits into a single packet), when you do not want the overhead of establishing a TCP connection. Its nonexistent acknowledge packet (ACK) permits a continuous packet stream, unlike TCP that acknowledges a set of packets. When it comes to taxi applications, real-time location sharing is the crux. Drivers need to keep sharing their location with passengers and vice-versa. If you use TCP as the backbone of these apps, it won’t allow for real time location sharing. Because the driver data is sent to the server which then passes on that information to the passenger. There will be a considerable delay which will ultimately hamper your users’ experience. TCP provides a one-to-one, connection-oriented, reliable communication service, where socket must first be established before data can flow. It handles two-way communications, acknowledgment of data received is sent on every packet. The IP program layer encapsulates each TCP packet with a header that includes the source and destination IP addresses including the packets time-to-live which makes smaller data heavier. Thus TCP becomes slower. It’s only suited for apps that need higher reliability and where transmission time does not play a big role. Driver-passenger applications require real-time, fewer data to be shared which requires speed in sharing of a particular location. TCP tries and buffers the data and fills a full network segment thus making more efficient use of the available bandwidth. So it takes considerable time. UDP, on the other hand, puts the packet on the wire immediately with lots of small packets. This results in faster data transmission. UDP is the most used and highly recommended protocol if you are looking out to build a robust, intuitive and dynamic taxi application. The use of this protocol enhances the user experience by sending and receiving real-time location information seamlessly. Users can track taxi-drivers on a map-view and see them approaching towards them. If your taxi app has to pit itself against competitors, UDP is the way to go.